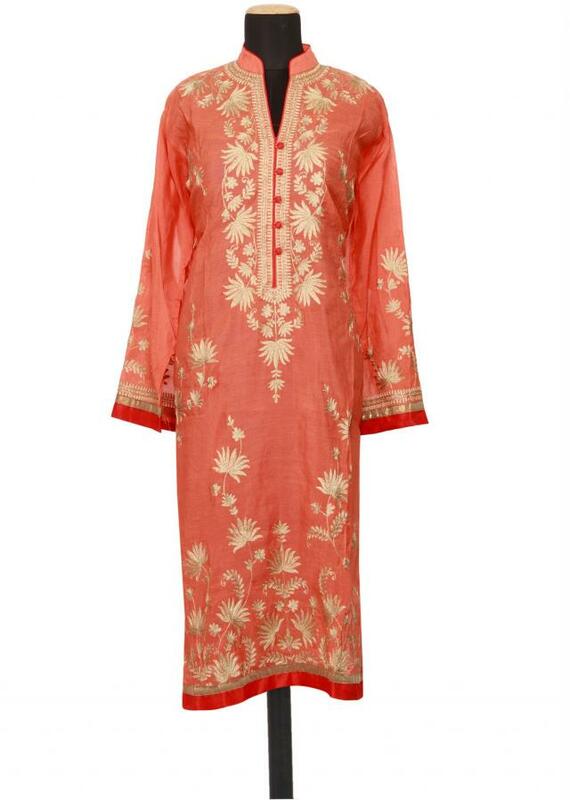 Featuring a coral cotton silk straight-fit semi-stitched salwar-kameez. 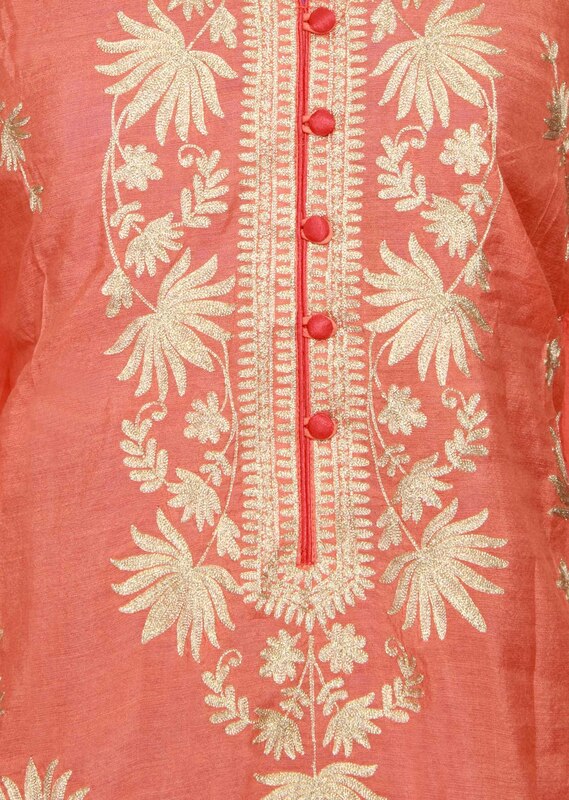 Embellished in zari embroidery all over. 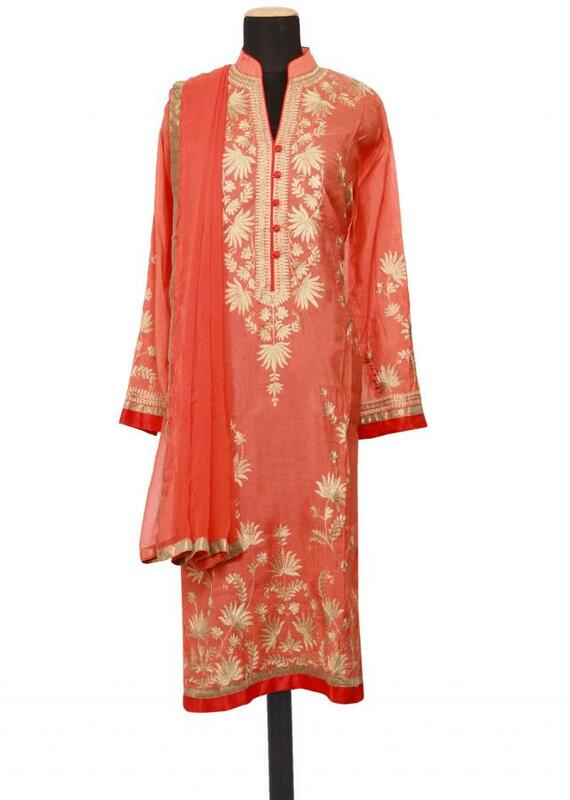 The neckline has attached coral chinese collar and placket embellished in zari with red piping and button detail. The border is in red and bronze lurex. 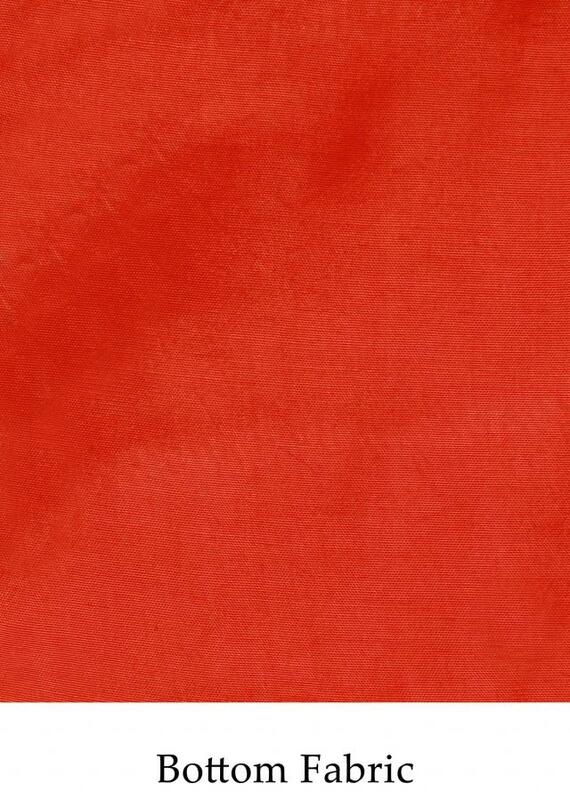 Dupatta in coral chiffon with bronze lurex border.